The term reflects a shift from traditional forms of economic principles and operations that have been characterized as a linear “take, make, dispose” model. Under this older mode of operation, we extract or take natural resources, make something out of them, and when we’re finished with them we dispose of them, as in a landfill. There has been, in the last 50 years, a growing recognition that such an approach to the way we live is not sustainable as the resources are finite and rapidly running out, including such basics as water, energy, minerals, and food. The circular economy denotes an approach where we reduce, reuse, and recycle what we take and make, avoiding depleting more of our resources. Recycling, e.g. of bottles, cans, paper, is an established practices that support a circular economy. If we buy a new smart phone or laptop, within several years newer models come out and we throw away our old model for a new one. This practice is wasteful. Now it is time for electronic producers to make things that we can use, not buy, and then turn them back for reuse when we turn to a newer model that we use but not buy. Recent examples of this approach are the laws that require manufacturers to accept back any product they have made, and to recycle or reuse these products, to the extent feasible. Or we replace products with services that do not run out, as when we engage in shared car or bike schemes. We use these vehicles; we do not own them. 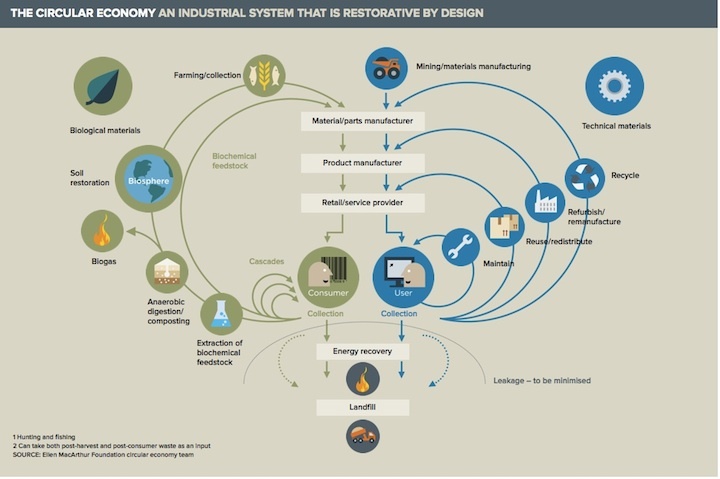 Using renewable sources for energy is part of a circular economy. The extraction and consumption of fossil fuels is not. In a circular economy, we go from being consumers to users, thereby preserving as best we can the natural resources necessary for a sustainable life. Identify three products you use and throw away that could be recycled or reused. Determine whether there is any service, private or public, that will recycle or reuse those products. Analyse the cost of recycling or reusing these products and compare those costs to the costs of simply throwing them away.